Honestly, I've probably only have gone in the adult sections a handful of times. We spend all our time in the fantastic children's section. 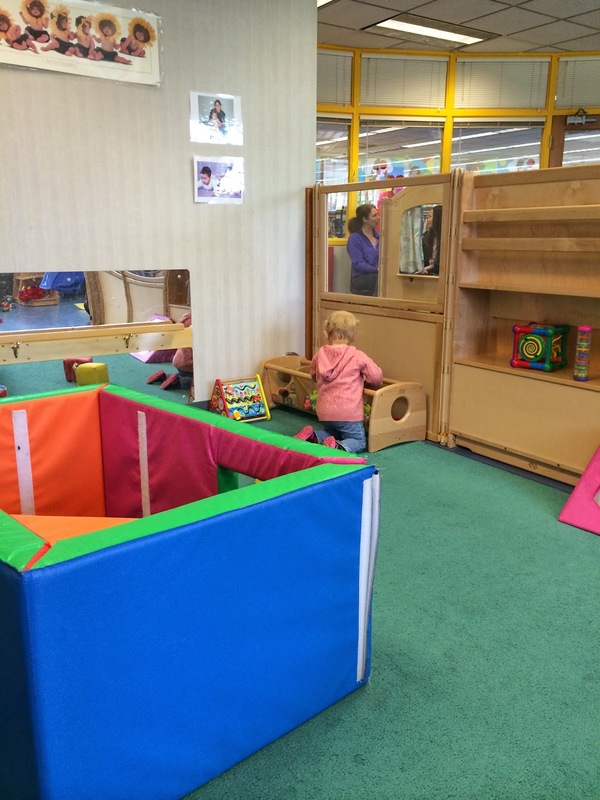 There is a separate room, within the children's area, that is a playroom for (suggested) ages 6 and under. This picture is the blocked off area for non-walking babies. Yes, Lilly does walk, but since there were no babies in there at the time, I let her go in to play. She's so used to this area, and loves it, so she she likes playing in it. 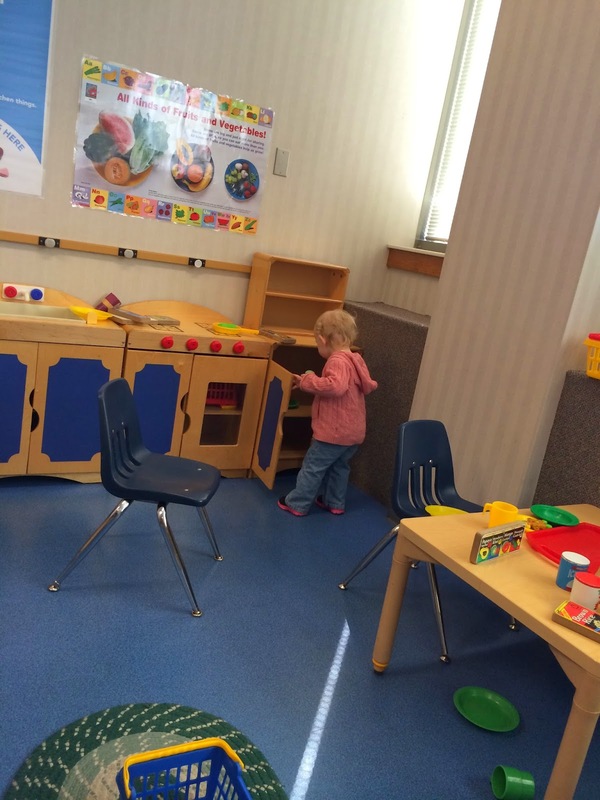 Still in this special room, there are toddler sized table and chairs where they can do puzzles and read books. There is a puppet show stand, mail/color station, magnetic letter wall station, and more. Here is the kitchen area that the girls love playing in as well. Here is Ashley looking through the rows and rows of DVD's. I usually let her get a couple of her choice, and a couple learning ones. This is a lot more to the Children's section also. Computers that are kid safe, train tables, another puzzle table for bigger children, and a big dollhouse. Not to mention the big selection of toddler (board) books, fiction section and non-fiction section for the older children. Ashley loves going to the section where they have leveled readers. 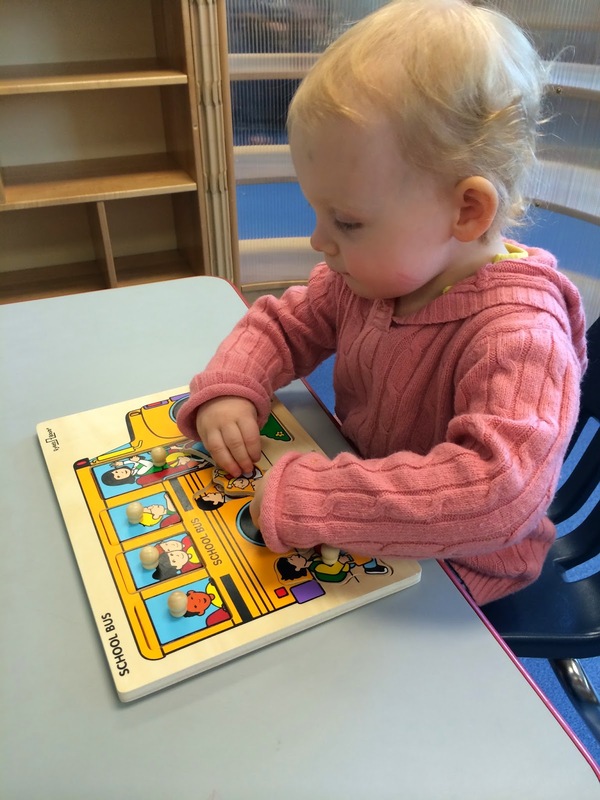 She is able to read these books and has made it through a couple of levels so far! With all of the storytimes, activities, and great spaces available, this is a definite win with my children. Perfect for all the rainy days during the summer!